Toddler-PreS–This is a charming tale of love and how it is celebrated with cuddles and hugs in all species. "When we cozy up in our sweet comfy nest,/you're so squishy-squashy…/You're simply the best!" Viewers see animals of all sizes including mice, elephants, ducks, koalas, and penguins, and the babies hug their parents their own way. 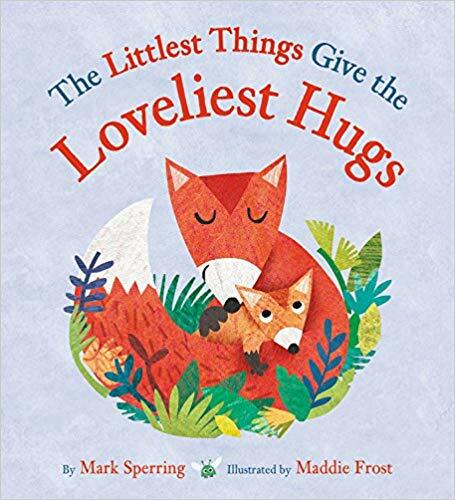 It becomes evident that a hug is the universal language of love and comfort as the book comes full circle with a human mother and child cuddling at day's end. A spread of a koala family has a vertical orientation, which gives readers the illusion of looking up to see the koalas in the tree. Colorful, mixed media illustrations surround rhyming text that creates a singsong rhythm, making for a wonderful read-aloud or bedtime story. VERDICT Perfect for lapsit and toddler read-alouds. Children will be able to relate to the parent/child relationships as well as the familiar animals and habitats.